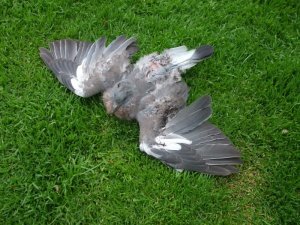 While walking with a friend in the park one day, we came upon a pigeon that had been horribly mauled by a dog. I mean yecchhh! I thought maybe we should kill it to put it out of its misery, but by chance we found a cardboard box nearby, and I brought the thing home. It was pretty far gone. But..I happened to have some veterinary antibiotic drops on hand, so I figured what the hell. So Sadly I have to pack up the box, with the bird in it and decide I would take it back to the park, and the bird would have to figure itself out. Can’t save everybody, I guess, but once in a while it’s worth a shot. At least think about those suffering more than we are. That’s Chiron, too. PS: I’m still battling it out in New York City, and that pigeon is up in Connecticut living La Vida Loca. You are such a fine writer, bringing real life and humor to the distant stars and their faraway travels. This is the way to communicate the movement of the stars and their dramas, comedies, and tragedies, which helps us to understand the patterns of our lives – the heavens, hells, and purgatories. I wish more astrologers had a sense of humor and the gift of writing.! I miss your longer entries, like on the old website…Thanks for being such a good writer and astrologer! Please write longer entries for the nonsubscribers – not because we’re cheap but many of us can’t afford it. Your kindness will be rewarded Mike.